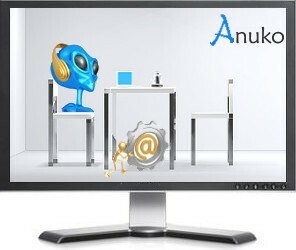 Anuko Time Tracker is a simple, easy to use, open source, web-based time tracking system. Anuko Time Tracker allows you to track the time that employees, colleagues, or teammates spend working on any project or activity that you need to keep tabs on, and is suitable for teams and companies both large and small with any number of users. Anuko Time Tracker comes in a variety of forms. The system runs on FreeBSD, Linux, or Windows. ...... reports and invoices and send them via e-mail. The system runs on FreeBSD, Linux, or Windows. The system is available in 13 languages: English, Dutch, Estonian, French, German, Hungarian, Icelandic, Norwegian, Polish, Portuguese, Romanian, Russian, and Spanish. Anuko Time Tracker is a simple web-based time tracking and billing solution that allows teams and companies both large and small track their working hours. * Browser redirect is temporary in effect from the older location. Users are advised to update their links to the new location. * Work has been performed to improve performance of the application for teams with large number of projects and activities. Login and time entry operations for users in such teams has significantly improved. Time Tracker teaches young children how to tell time using an analog clock. Windows tray clock alternate between your local time and Internet Time. Minimalist digital timer. Free. Virus and spyware free. Golf Tracker is very useful to improve your golf game. Film Tracker was designed to organize all your movies quickly and easily. Album Tracker is a useful tool for organizing CDs, records and tapes. VeriTime helps you keep track of time spent in tasks and projects. Advanced File System Explorer. File info, file find, file report, file preview. Budget Tracker makes you well know where your money is going monthly. Qweas is providing links to Anuko Time Tracker 1.3.40.871 as a courtesy, and makes no representations regarding Anuko Time Tracker or any other applications or any information related thereto. Any questions, complaints or claims regarding this application Anuko Time Tracker 1.3.40.871 must be directed to the appropriate software vendor. You may click the publisher link of Anuko Time Tracker on the top of this page to get more details about the vendor.